It is an irony of history that an entity that claims to be innocent and whose people were the victim of the Holocaust has been itself committing the most heinous crimes in contemporary history. From July 1946 to August 2014, Israel has committed at least 28 cases of violent crimes against the Palestinian people, major examples of which include the massacres of Palestinian civilians in Deir Yassin (1948), Golan region (1948), Kafr Qasim (1956), Khan Yunis (1956), Sabra and Shatila refugee camps (1982), the Jenin refugee camp (2002), Qana (2006), the previous invasion of Gaza (2008), and the latest onslaught of Israeli army against the blockaded Gaza Strip (2014). According to the most recent figures released by the Palestinian Health Ministry in Gaza, a total of 1,865 Palestinians have been killed in Gaza up to August 4, 2014, including 429 children, 243 women, and 79 elderly people. During the past 29 days, a total of 9,563 Palestinians have been also wounded in Israeli strikes against the coastal sliver, including 2,877 children, 1,853 women and 374 elderly people. On the other hand, Secretary General of the United Nations Ban Ki-moon issued a separate statement in which he strongly condemned this and other similar attacks by the Israeli army on UN-run schools, describing them as a “moral outrage and a criminal act” while asking for a quick investigation to be launched into these incidents to identify perpetrators. 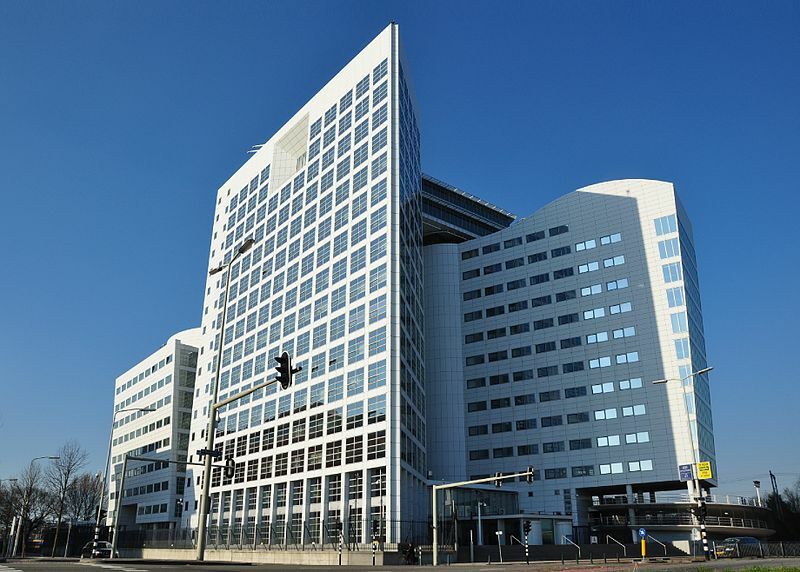 In the meantime, the Palestinian Foreign Minister Riad al-Malki has paid a visit to The Hague, calling for the membership of Palestine at the International Criminal Court while seeking to file a war crimes case against Israel. The question, however, is will the mere recognition of measures taken by the Israeli military against Palestinians as war crimes have any practical consequences for the officials of Israel? The question, unfortunately, is negative. What has given Israel such a powerful sense of self-confidence as to enable it to go ahead with its criminal agenda against Palestinians? On the whole, the international community has foreseen the following legal mechanisms to prevent impunity by state criminals: 1. The International Criminal Court; 2. Special criminal tribunals; 3. Hybrid criminal tribunals; 4. Domestic courts; and 5. The UN Human Rights Council. Every one of those institutions and mechanisms are facing their own special limitations when deciding to take an action and prosecute war criminals. As a result, those limitations have been playing a very important part in preventing prosecution of Israeli officials by the aforesaid institutions. First, let’s have a look at the limitations faced by the International Criminal Court (ICC) for containing the criminal actions of Israel. In order to hear a case, the government requesting the hearing as well as the government to which criminal people are allegedly affiliated should be members of the ICC. There are some considerations to be taken into account here. Firstly, there are many controversies about whether the existing political entity in Palestine is really a government. The fact that other Islamic states consider it a government is not an issue here, but the important thing is for this entity to be recognized as a government by the main players in international relations. Secondly, even if Palestine is accepted as a member of the ICC, the jurisdiction of the Court will only cover what is done after the official membership of Palestine (in accordance to Paragraph A, Article 11 of the Statute of the ICC). In other words, the jurisdiction of the Court cannot be enforced retrospectively. As a result, all crimes that Israel has so far committed would fall outside the ICC’s jurisdiction. Thirdly, the ICC has no executive arm – apart from voluntary cooperation of states – to take such measures as arresting criminals and putting them to trial. The close relations that exist between powerful Western states and Israel need no explanation. On the other hand, the United Nations Security Council can refer any case to the ICC or take any case out of the Court’s schedule. Now, as long as such countries as the United States, France, and the UK offer their unbridled supported for Israel, can one actually expect the Security Council to make a decision against the interests of Israel? If the International Criminal Court is unable to prosecute the Israeli officials, the same can be said about other special and hybrid tribunals as well. Such tribunals – two cases of which include the International Criminal Tribunal for the former Yugoslavia and the Hybrid Tribunal in Sierra Leone – usually and customarily take their orders from the UN Security Council. Therefore, it goes without saying that Israel will never be put on trial before such courts. Hybrid courts, on the other hand, hear cases on the request of the government of the country where the crime has been committed. It is clear that Israel will never request trial of its own statesmen. Domestic courts are also facing their own specific limitations. When it comes to competence of national courts for hearing cases related to war crimes and crimes against humanity, the past experience has proven that in the absence of a powerful political will supporting such courts, or when these courts are not affiliated to powerful countries, they would not be able to do anything. For example, in February 2003, a court in Belgium issued a warrant for the judicial prosecution of the former Israeli Prime Minister, Ariel Sharon. However, before the ink on the warrant was dry, the Belgian government balked at the case. In another instance, a British court issued a similar warrant against the former Israeli foreign minister, Tzipi Livni, in December 2009, for her role in the massacre of the Palestinian people of Gaza in 2008. The British government, however, pointed to judicial immunity of the Israeli diplomat and practically dropped the case. Even the then British foreign secretary went as far as requesting a change in the country’s judicial laws to prevent prosecution of Israeli officials in possible future cases. Finally, the UN Human Rights Council mostly plays a political part than a legal one. Therefore, it cannot be expected to make decisions that are legally binding. At the end of the day, the Human Rights Council will call on the Security Council to get involved and implement its decision. Now, given the fact that the United States holds a permanent seat at the Security Council, any case against Israel will be easily sent into the archives. All these facts remind one of Antonio Gramsci’s theory of cultural hegemony. He argued that big powers have made up global relations and structures in such a way as to serve their own tyrannical interests. As a result, the only outcome of bringing up Israel’s crimes at international bodies will be further disgrace for the Israeli regime and reduction of its international credibility. Apart from that, such institutions are not able to play an effective role in preventing Israel’s impunity. In other words, just as the saying goes “dog does not eat dog,” international legal and political structures cannot be expected to act against the interests of those who have created them as well as their lackeys. It is only through the use of preventive force that necessary deterrence can be created against further acts of atrocity by the Israeli regime.